Army Sports Club will meet Havelock Sports Club in their Dialog ‘A’ Division ‘Clifford Cup’ knock out Rugby championship second semifinal match at Race Course grounds in Colombo today. This match is due to get underway at 4.00 pm. Havies In their confrontation against Army in the league, in the first round, were given a torrid time before winning at Havelock Park. 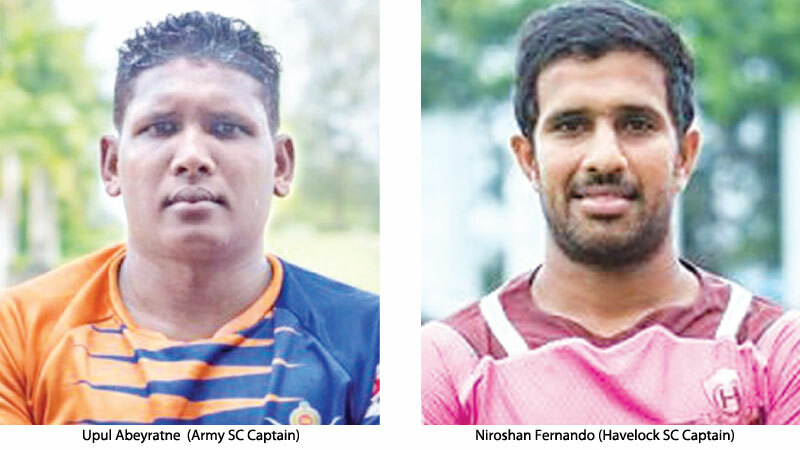 But in the second round game at Ratmalana, Havies had the better of Army. But Army might have the upper hand against Havies this time around. Their forwards will have the edge over their counterparts due to Army forwards lately have played as a unit. In the back line battle for possession as Havies SC will have the edge over their rivals hence they will surely try to penetrate Army's defence more often. But Army SC too have a fine back division with players of their calibre will try to punch holes in the Havies defence. Hence today's semifinal clash for the Clifford cup between Army Sports Club and Havelock Sports Club will be anybody's game. Army Sports Club (Probable XV): Aravinda Karunathilake, N. Ranasinghe, Sugath Nanayakkara, D. Adikaram, Nalan Premanath, P. Kumara, Upul Abeyratne (captain), Danuka Wijethilake, Isuru Madagedara and Ashan Bandara, J. Janaka, Kasun Maduranga, S. Bulathsinhala, M. Nuwan, Gayan Salinda. Havelock Sports Club (Probable XV): Dushmantha Priyadarshana, Azmir Fajudeen, Liston Flatney, Sharo Fernando, Umesh Madushan, Senal Deelaka, Shawkat Lahir, Lasindu Karunathilake, Mithun Hapugoda, Niroshan Fernando (Capt), Chamara Dabare, Dinuk Amarasinghe, Theekshana Dasanayaka, Sandun Herath, Reeza Mubarak.